Low maintenance cost for long periods of use. Panasonic lamps give more life cycle than conventional models. Highly durable filter and lamp. seamless projection on extra-wide, spherical screens. Panasonic on-site service; supply time of spare parts is less than conventional models. 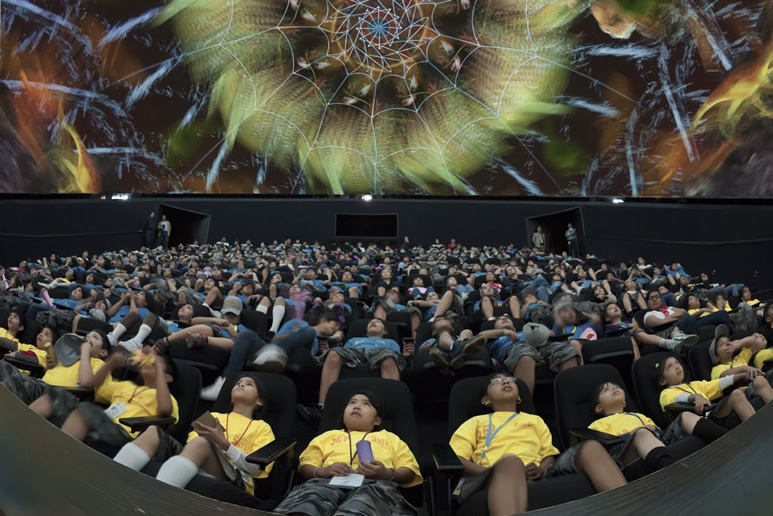 Sitting in the 40-degree reclining seats, kids are mesmerized by the vivid images on the gigantic screen in Banamex Digital Dome. 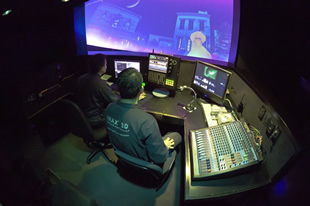 Behind the scenes, eight Panasonic PT-DZ8700 projectors produce Full-HD clear and true-to-life images on the 830-square-meter screen, replacing nine old XGA projectors of a conventional supplier. 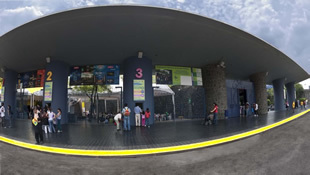 Papalote Children's Museum was established in Mexico City in 1993. 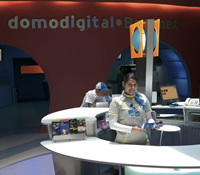 The museum is focused on learning, communication and working together through interactive expositions of science, technology and art for children. 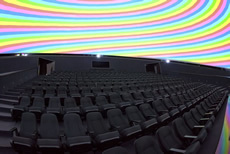 The large digital screen at the dome theater of the museum opened in 2004, as one of the largest in Mexico City and maybe even all of Latin America. Over the years, the museum had encountered many problems with the old XGA projectors, which had insufficient performance, such as quarterly replacement of xenon lamps costing some US$50,000 per occasion, low level of luminosity and resolution, and long downtime for maintenance by servicemen who flew over from outside of Mexico each time. To renovate those old systems, the museum called several potential suppliers and reviewed various proposals. 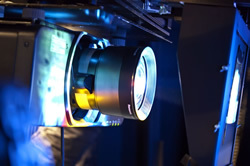 Finally, in early 2011, they chose Panasonic's Mexican company PANAMEX's offer that suggested the use of PT-DZ8700 Full-HD 3-chip DLP projectors. 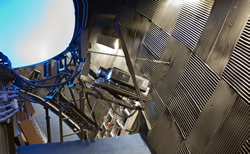 Introducing the PT-DZ8700 to the museum has offered the theater system superior features and performance: a reliable dual lamp system, 13 times greater lumens over the old ones, one annual lamp change, as well as the Geometric Adjustment and Edge Blending functions to cover the surface of the dome screen. Most importantly, maintenance is readily served by PANAMEX and its local dealer, making repair costs minimal. 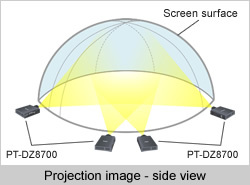 A variety of know-how was required to assure seamless projection on the extra-wide, spherical screen. PANAMEX succeeded in reducing the number of necessary projectors from nine to eight by making calculations based on detailed measurements of the projected surfaces and distances in advance, and selecting from the wide range of available lenses. 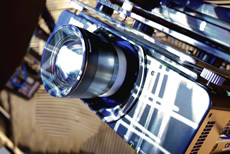 In addition to this, Geometric Adjustment and Edge Blending functions utilizing Panasonic's original technology are being used for seamless projection. 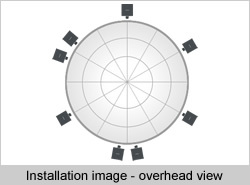 This function is used to adjust the projected image onto the 830-square-meter spherical shaped screens. The adjustment can be easily done by using just the remote control with no external equipment needed. 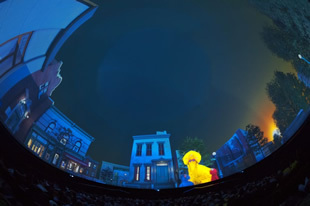 Children who visit the Papalote Children's Museum in Mexico City can now totally immerse themselves in another world, meeting their favorite animated characters in a way they have never experienced before - in a 15-meter high, 23-meter diameter dome theater. Content shown at the museum includes materials familiar to children such as Sesame Street, Star Trek and documentaries produced by the American Museum of Natural History, NASA and National Geographic Society. The theater runs all year long with eight to ten daily showings. they have never experienced before. This article was based on a source by Panasonic News Portal.